Traveling with your significant other is truly something special. Every now and again, however, it is so much fun to just grab your best friend and take a girls trip! My great friend Allie (of AllieMichelleL Travel and Wellness blog) and I decided to take a girls getaway trip to Bali for a little fun in the sun! Along the way we documented our favorite hotels, restaurants, and things to do so that we could bring you the ultimate girls’ getaway guide to Bali! If you are looking for a small town with a welcoming homey feel, Sanur is the place for you! Here you can rent a bike with your bestie for as little as 3 bucks a day and literally ride down to the beach, go shopping, or make your way to any restaurants in a matter of minutes. The Samata Sanur is by far my favorite place to stay in the area. They have two gorgeous infinity pools with incredible views overlooking some of Bali’s famous rice paddies. Sanur is not largely known for rice paddies, which makes the Samata that much more unique. The Samata also has a fully equipped gym, which is always a huge plus for me when traveling. Also, the food is nothing short of amazing! We decided to take a cooking class while on the property and had the best time learning how to make some traditional and healthy Balinese dishes. If you are looking for a resort where you don’t feel the need to leave, this is your best bet! Sanur is a small city filled with so many wonderful restaurant options. My favorites are Bali Buda and Malaika’s Secret Garden! Bali Buda, in particular, offers everything from traditional Indonesian style cuisine, to American burgers, and even fresh fruit Juice and smoothies. Michael and I stayed at the Four Seasons Jimbaran last winter when we were in Bali and it will forever be one of my favorite resorts in the world! Although I didn’t stay the night there on this trip, that did not stop us from having the best girls’ day on the property! We started the day with some morning aerial yoga overlooking the ocean from FS Jimbaran’s brand new yoga bale. After working up an appetite, the amazing Four Seasons team arranged lunch for us at one of my all-time favorite restaurants: Sundara. The crab salad is seriously something out of this world! And of course, the meal wouldn’t be complete without splitting a dessert sampler with my best. It was an awesome day to say the least! When traveling with your bestie who also happens to be a yoga teacher, visiting Ubud is a must! Even for non-yogis this place is heaven! Delicious, organic food on every corner. Amazing shopping opportunities, and yoga classes offered everywhere! Not to mention, Ubud has some beautiful hiking as well as a waterfall that you can visit and swim in! Our favorite place to stay is Kumara, One World Retreats. They have one of the most beautiful properties I have ever seen in Ubud! The rooms are fantastic, they have two beautiful swimming pools, and they offer ayurvedic meals (which are meals centered on being balanced and healthy) to make you feel your best. They also offer yoga every morning, and have a free shuttle that will take you into town and pick you back up for free! The only advice I would give is to avoid getting your laundry done on the property, it tends to be a bit pricier than normal. Ubud is full of fresh and organic restaurants so it’s hard to make a bad choice here! My favorite place to eat is called Kafe. The clean steam veggie plate is my go to! This little town by the sea is one of my favorites in all of Bali! If you are looking to surf and chill out away from the mass crowds of Ubud or Seminyak, Bingin is perfect for you! Binging is filled with the most charming resorts by the sea. We couldn’t choose just one! Sal’s Secret Spot– The secrets out! Sal’s is located up top from Bingin beach and is something straight out of a dream! The staff is amazing and all of the rooms are eco-friendly and unbelievably cute! Everything is decorated beachy chic which also makes for some great photos! They have actual beds in the pool here, so good luck trying to go anywhere outside of the resort! Mick’s Place– Located on top of the cliff overlooking the ocean, you can actually watch the surf on Bingin beach from the infinity pool! Or you could watch it from the hammock, if you aren’t in the swimming mood. This had to be one of the coolest, most beautiful resorts I have ever had the pleasure of experiencing! Similar to Sal’s, the rooms here are also completely eco-friendly and have these retractable blinds that open so that your entire room is exposed to the ocean view. Aside from aesthetics, Mick’s has even more to offer. The food here is some of the best we had in all of Bali. Whatever they have on the menu that night, usually there is only one choice, order it! You will not be sorry! We had such an amazing time here that we were honestly sad when it came time to leave. I should also mention that I had the best massage of my life at their newer Spa, Acacia Day Spa! If you decided you want to eat out of the resort there are a couple options that are definitely worth trying! You can walk down to the beach at sunset and enjoy dinner with your toes in the sand. Many restaurants put tables and chairs out on the sand for dinner so that guests can sit on the beach and enjoy whatever fish they caught that day. They grill it fresh on the beach and serve it with steamed rice and veggies. If you don’t want to walk down the steep steps to get to the beach, try The Cashew Tree restaurant. It is close to both Sal’s and Mick’s and truly has some amazing food! We went for lunch every day that we stayed in Bingin and had fresh salads and smoothies. When in Bali it’s always fun to Island hop! We were feeling adventurous so we took the 30 minute boat ride from Sanur to Nusa Lembongan. 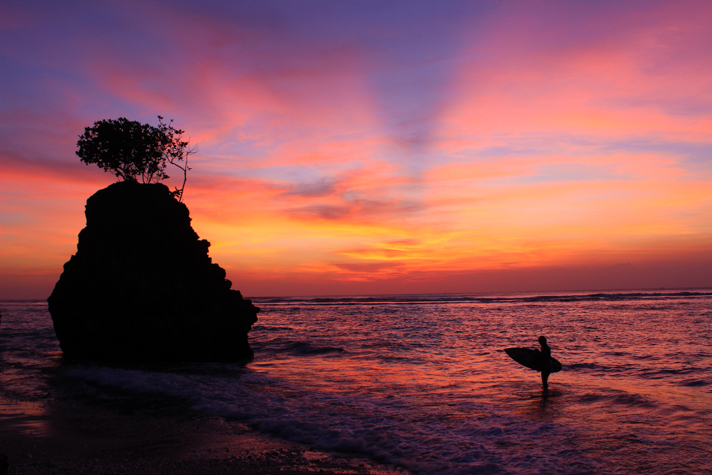 Nusa Lembongan is a gorgeous island where you can surf, snorkel, or just lay on a beach and relax. Batu Karang Lembongan is a family owned resort that is only minutes from the boat drop off point on the Island. 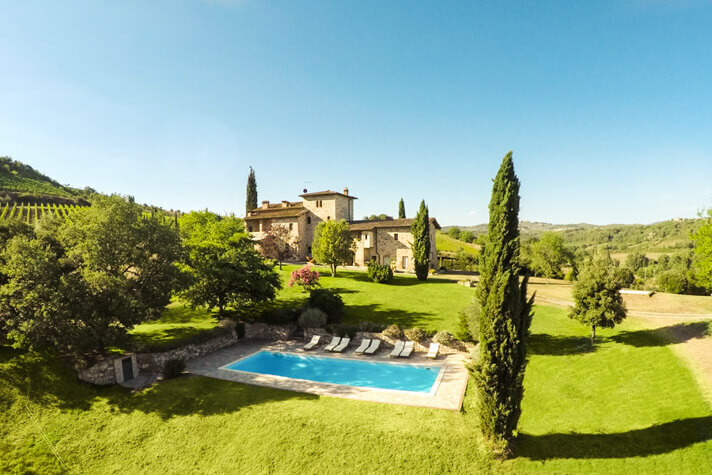 It is an absolutely stunning property boasting two pools, a day spa, and much more. The staff are wonderfully friendly and will organize any activity you feel like doing that day. They helped us organize a day trip on scooters to Nusa Ceningan, a neighboring Island connected to Nusa Lembogan by a hanging bridge. It was one of our favorite days on the island! The sunset bar right below Batu Karang was our favorite choice! Here you can watch the sunset while listening to music and enjoy a delicious meal. The have a great menu selection and on Sundays have a fun happy hour where a DJ plays live tunes. 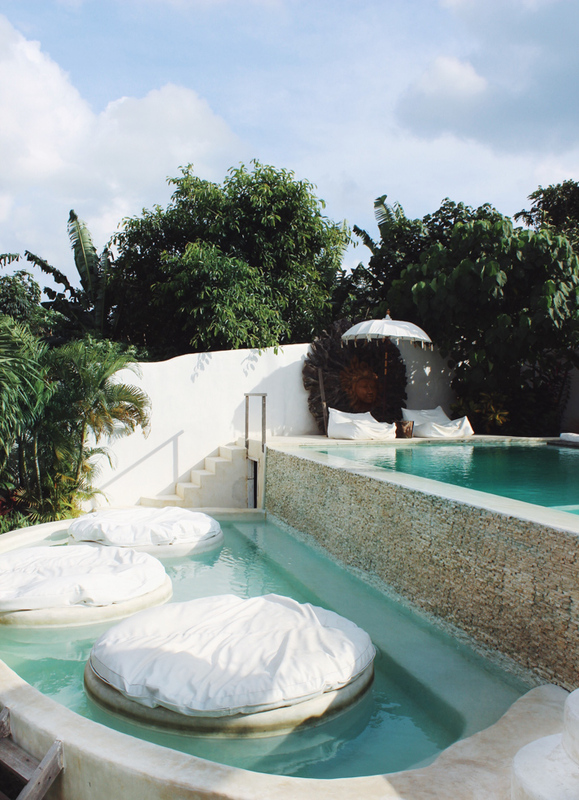 I already want to go back to Bali just so I can run straight back to Canggu! The community here is truly something special. The laid back surf vibes mixed with organic healthy food everywhere make this an easy choice of places to visit when in Bali. There is also the ease of convenience shops and modern shopping here which is nice if you’re looking for more modern living. The Chill House – This place definitely lives up to its name! We never wanted to leave! The food is fresh and amazing, but the culture of the resort is what really sold us. Every night they host a family style dinner (which is included with your stay), and everyone gathers together to eat and enjoy some time together. I met some truly amazing people from all over the world because of this. 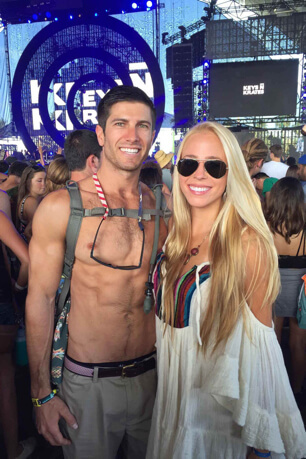 They also offer daily surfing lessons, yoga, and mountain biking. We opted for the morning yoga and we were not disappointed! They offer some of the best yoga I have taken in all of Bali. It’s pretty much a yogi’s paradise! If you wish to eat in the main town of Canggu, Crate Café is my favorite, although it’s not open for dinner. They have delicious colorful smoothie bowls, fresh sandwiches, and egg dishes. If you and your BFF are looking to do some intense shopping or looking for a night out on the town, Seminyak is where you get your boogie on! Here you can find the best shopping in all of Bali and there are bars and restaurants that turn into clubs on the beach at night. Some of the top DJs in the world play here. Potato Head Beach Club and Ku De Ta are two of my favorite spots! Peppers Seminyak– The villas at Peppers Seminyak make you feel like you’ve somehow teleported out of the busy city and into a true tropical paradise. With two bedrooms, a kitchen, and a private pool, we found it impossible to leave! On top of the rooms being amazing the staff is so helpful and kind. Peppers also has a wonderful restaurant on site with extremely affordable prices. They also have a really nice and clean gym, so as you can imagine I was basically in heaven. Seminyak is full of great foodie spots. My favorite spot to eat dinner and watch the sunset from is Potato Head Beach Club. 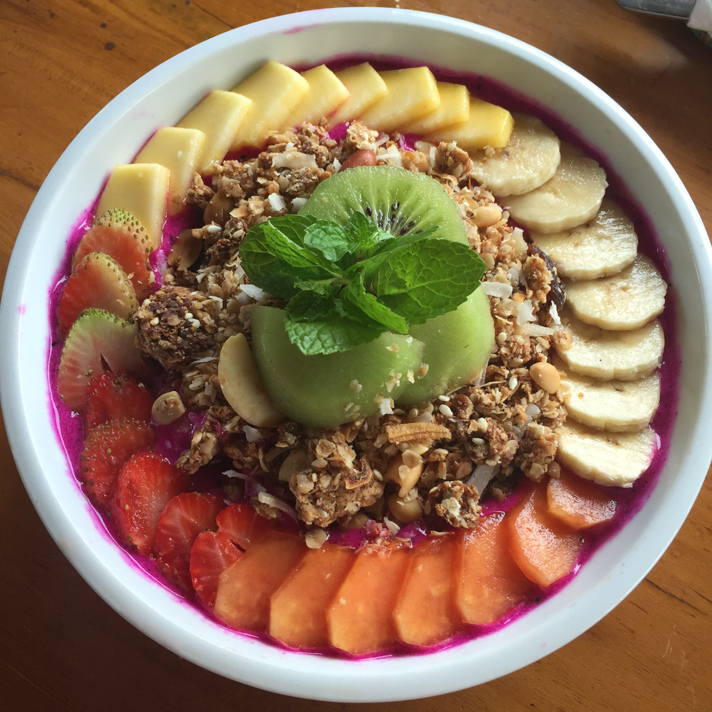 Nalu Bowls is another go-to spot if you are in more of an acai smoothie bowl mood. For more information on Bali, check out our Bali Travel Guide. Pretty much everywhere! Power of Now in Sanur is where Alex did her yoga teacher certification. People also love the Yoga Barn and Ubud Yoga House (both in Ubud).